JMF Disco offers a great Wedding DJ Richmond service that will provide all the help you need to organise your wedding entertainment and ensure you and your guests have a great ending to your special day. Have a look at the Weddings page for more details of the Wedding DJ Richmond service I offer and call me to discuss how I can help make your evening very special. 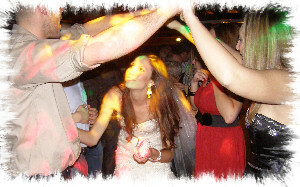 - I'm sure I can provide you with the Wedding DJ Richmond service you really want!